Everybody is looking for happy. Ask the average adult what they yearn for and a good number will say they are looking for what makes them happy. It’s a concept that seems to begin right from childhood. We watch movies and read books that glorify happy endings, or happiness as a general concept. 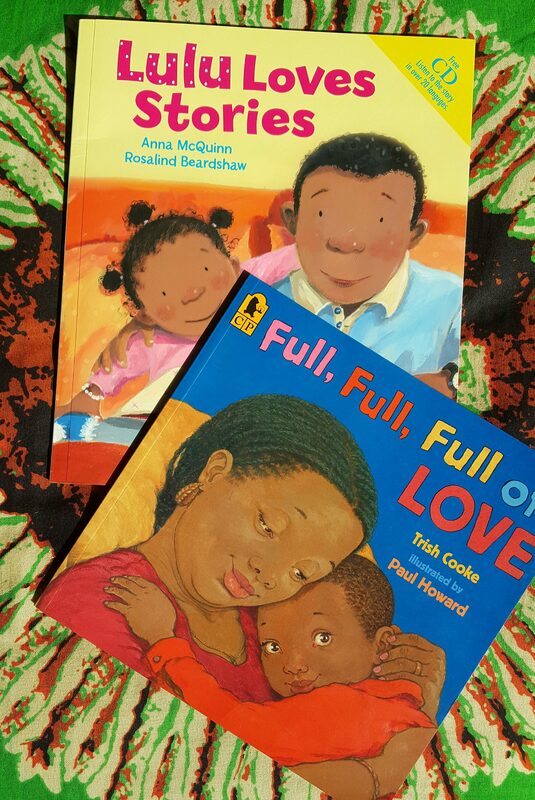 Even today, children’s books like Full, Full, Full of Love by Trish Cooke or the Lulu Series of stories by Anna McQuinn portray children and even adults with mostly sunny dispositions. These are great books, very important ones in fact. The two I’ve mentioned do a lot in terms of diverse and representative literature. 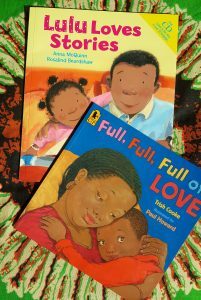 I believe however, that as we continue to impress the love for books onto our children it needs to be done holistically. Life isn’t always happy. Sadness, anger, concepts like war and famine, or even polygamy and blended families; these are all elements of real life. These are concepts that children need to begin understanding and coming to terms with as early as possible so that their world views are formed from an informed place. We know though, that sometimes reading to and with children about a lot of these things can get intimidating, overwhelming and frankly, a little awkward. There are ways though you can prepare yourself to introduce your children to these concepts. Stop looking at them as children and look at them as human. With your adult lenses on, you see your children as just that; children. They are vulnerable and need to be protected and really, should always be happy. But take them off and you all become human. And as humans being exposed to world views and circumstances outside our own increases empathy and perhaps a willingness to create social change. Understanding emotions like anger, sadness and grief, helps us deal with those feelings as and when they come up in our own lives. Seeing your children as human, seeing them the way you see yourself and other adults around you, might make it easier to read these kinds of stories with your child. Find folk tales that depict some of the storylines or emotions you want to explore. Using folk tales serves the primary purpose of bringing these conversations closer to home and Uganda is blessed to have a wide selection. There are many we grew up listening to that you can very easily be used to bring up these conversations. Stories like Njabala, which condemns laziness and procrastination or Nsangi which explores fear and the concept of fighting back could be good places to start. The great thing about many of the folk tales, for those of you that grew up around them, is that you are telling them to your children by rote. You are therefore able to gauge your children’s reaction to particularly disturbing parts and if they are not ready for it, you can steer the story in another direction until they are. You can also play around with some of the endings at different times and see which one your child likes best. You might be surprised at some of the preferences. Discuss some of the themes within the book before you begin reading to them. Tell them the book might make them sad, or involves a character that gets very angry, and then ask them if they would like to read it anyway. Children are normally very honest and from their answers you can assess whether or not they are ready for that particular discussion. Once you feel confident enough to broach these concepts with your children through reading, the next step is to find some of this challenging material. One that comes very highly recommended, especially for pre-teens and teenagers is Charlotte’s Web. A very popular title by E. B. White, it explores the concept of death in a way that leaves room for grief but removes the darkness and hopelessness from it. One of the book’s major characters dies in the end, ironically after successfully saving another character, but we see that even after this death, there is still life. Another great recommendation would be The Tear Thief written by Carol Ann Duffy and illustrated by Nicoletta Ceccoli. This comes highly recommended for children aged five to nine years as they are getting to a place of better identifying and articulating their emotions. The book explores the act of crying and shows that people can cry for many reasons beside sadness. They can cry because they are jealous or angry or even guilty. At the end of the day though, all these emotions need to be properly and adequately dealt with beyond the tears. 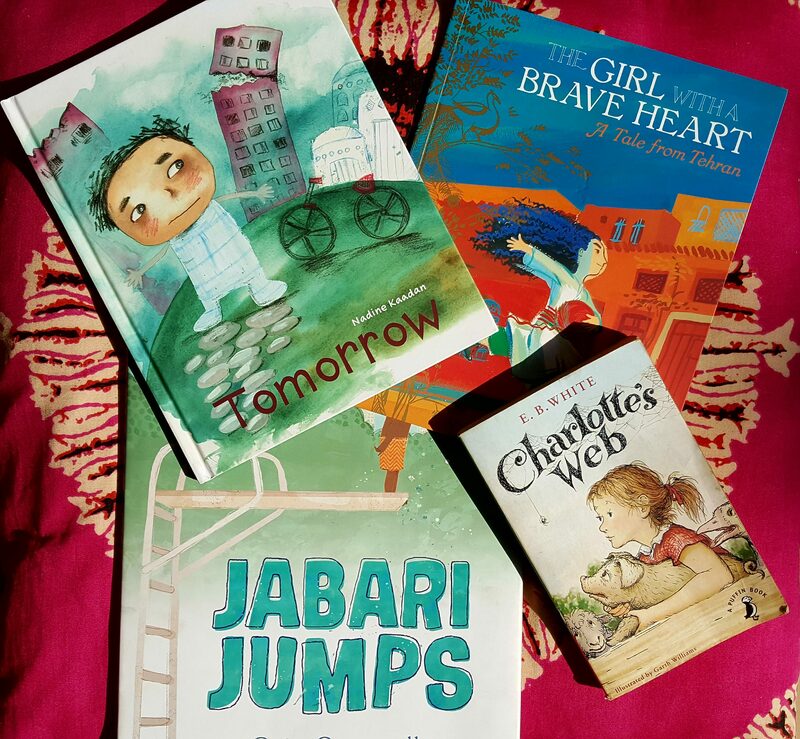 The Girl with a Brave Heart written by Rita Jahanforuz and illustrated by Vali Mintzi would be another great one to read with children aged seven to nine years. This one explores not just emotion, but also the idea of family dynamics and blended and polygamous families. The book’s protagonist loses her mother. Her father remarries and with his new wife has a daughter. Although the relationships between these characters isn’t as healthy as it should be, a book like this would be great to read to a child born into a blended family. It can be a really great way to discuss the different dynamics all these relationships have and highlight the positive ones in their own. Another recommendation would be – an absolute favourite here at Sooo Many Stories – Jabari Jumps, written and illustrated by Gaia Cornwall. Great for ages three to six, this one explores fear in such a beautiful, palatable way. The book’s protagonist is excited to be heading to the pool to dive from the diving board for the first time, but finds that he is a little scared. One of the brilliant things about the story is the author depicts Jabari’s fear, without ever mentioning the word. The best place to start with a book like this one would be having your little one identify the emotion that Jabari is feeling. Then have them mention times they might have felt it in their own lives. You’ll find that because they can identify with Jabari, it’s easier to open up. Yet another recommendation would be Tomorrow, written & illustrated by Nadine Kaadan. This one explores the current war situation in Syria through the eyes of a child. You can find the full review here. We hope that with these tips and recommendations, you will find the process of introducing your child to books outside of happy, a little less intimidating. 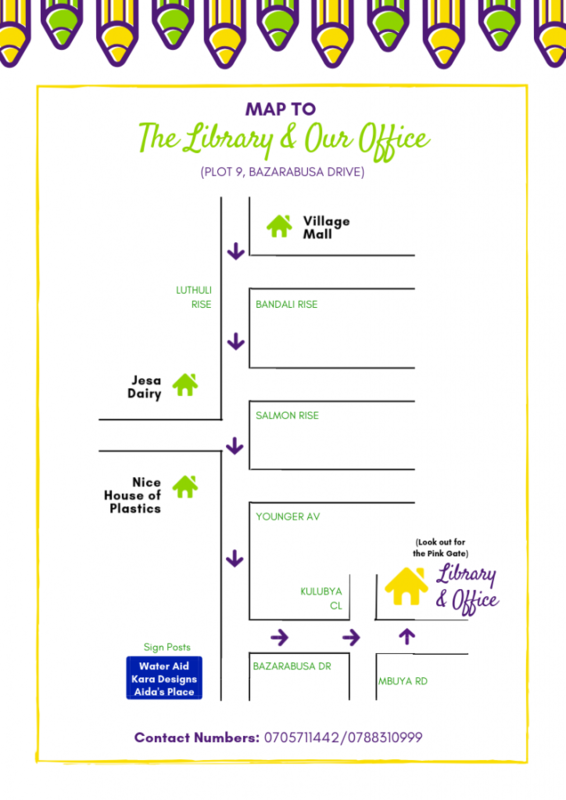 All the titles mentioned are available at our children’s library in Bugolobi. Come by with your tot and we can help in even further fostering these conversations!